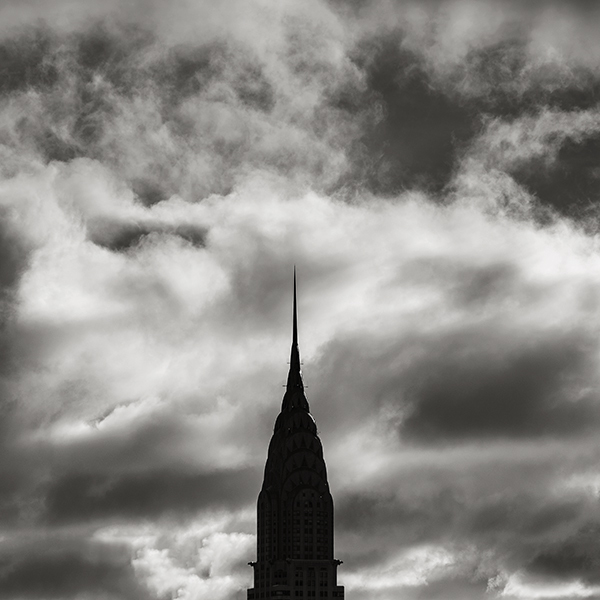 At sunrise this morning overhead clouds were rapidly clearing out of the area with the spire of the Chrysler Building in stark silhouette against them. It is scenes like this I love photographing of the city. 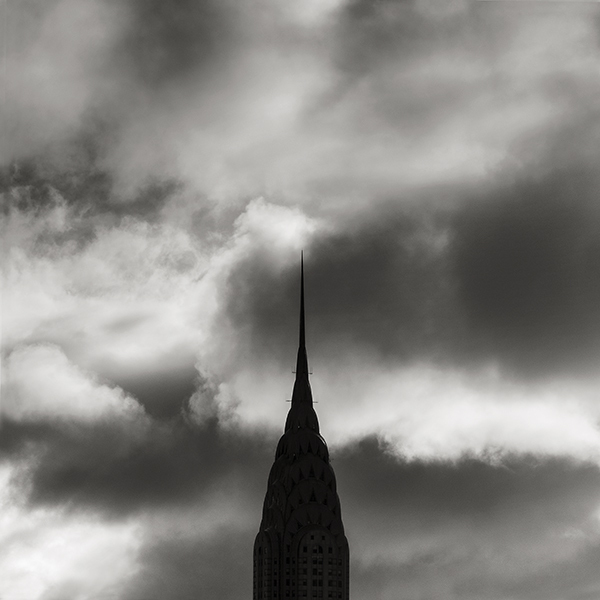 Chrysler Building and clouds at dawn, study 2, New York.